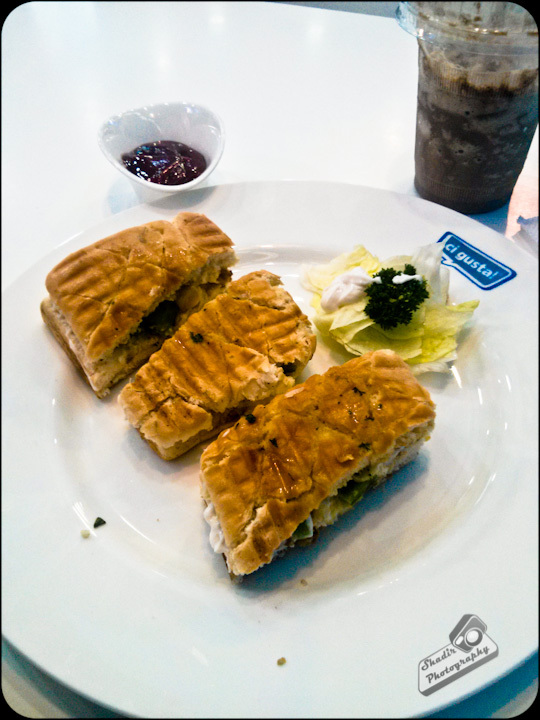 A small Iftar before the ginormous dinner, this is the tale of the sandwich and Chocolate drink at Ci Gusta in Phoenix Market City. This is a very small shop in Phoenix mall which could at its best seat 15 people at a time. I am betting they are counting more on people who would grab their yogurt based ice cream and move on. This was one aspect I liked. It was really fast and swift. This short bite cost me Rs 350/- odd. Guess it needs to be priced so that they can really pay their rents at Phoenix. Ci Gusta is located inside Phoenix Market City in the ground level.